Head and Neck cancer is the sixth most common cancer in worldwide according to World Health Organization and the most common cancer in developing countries. With nearly 664,000 new cases annually. Two-thirds of these occurring in developing countries. Clinical results like the one below reveal that Radiation treatment are more effective when combined with Hyperthermia. Hyperthermia warms the tumor to temperatures in the "fever range" which makes the cancer cells more sensitive to treatment. Normal healthy cells recover while cancer cells die. In three trials patients with head and neck tumors were randomized to radio(chemo)therapy with or without hyperthermia. Radiotherapy was applied with 2 Gy fractions up to a total dose of 66-70 Gy. Chemotherapy was only applied in the study by Hua et al., to patients with T3-T4 tumors only. Hyperthermia was given once or twice weekly Valdagni, Trento Italy study used BSD-1000. All three studies showed a significant improvement in complete response rate, and higher local tumor control and overall survival rates, or a longer median survival, when radio(chemo)therapy was combined with hyperthermia. Target volume for hyperthermia: The target volume for hyperthermia is the gross tumor volume. Sequence of treatment modalities: Hyperthermia is given simultaneously with chemotherapy during cytostasis. R. Valdagni et al. Radical radiation alone versus radical radiation plus microwave hyperthermia for N3 (TNMUICC) neck nodes: a prospective randomized clinical trial. Int J Radiat Oncol Biol Phys. 1988 Jul;15(1):13-24. R. Valdagni et al. Report of long-term follow-up in a randomized trial comparing radiation therapy and radiation therapy plus hyperthermia to metastatic lymph nodes in stage IV head and neck patients. Int J Radiat Oncol Biol Phys. 1994 Jan 1;28(1):163-9. Hua et al. Intracavity hyperthermia in nasopharyngeal cancer: a phase III clinical study. Int J Hyperthermia 2011;27:180-186. Huilgol et al. 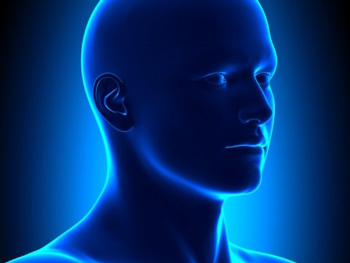 Hyperthermia with radiation in the treatment of locally advanced head and neck cancer: a report of a randomized trial. J Can Res Ther 2010;6:492-496.